MAVERICK Ahanmisi remains day-to-day for Rain or Shine although the Fil-Nigerian guard declared himself ready for Game 3 against Magnolia in the PBA Philippine Cup semifinals. 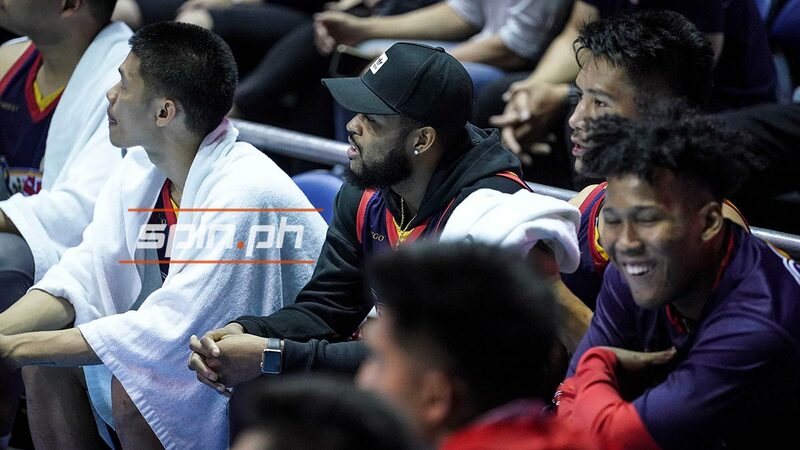 A sprained ankle kept Ahanmisi from suiting up on Sunday when the Elasto Painters went up 2-0 in the best-of-seven series following a 93-80 win at the Smart Araneta Coliseum. Ahanmisi went down with the injury after colliding with Rome Dela Rosa in the series opener. “It’s a sprained ankle with a little contusion. I don’t know yet, but I’m day-to-day,” said the 27-year-old Los Angeles, California native. Despite being reduced into a cheerleader on the bench, Ahanmisi is proud of how the rest of the Elasto Painters had stepped up with he and Raymond Almazan out with injuries. Ed Daquioag came off the bench to lead the Elasto Painters in scoring with 19 points, back-up guard Rey Nambatac had 12, while big man Norbert Torres torched the Hotshots for four three-pointers to finish with 16. But if the decision is down to him, Ahanmisi admitted he’s more than willing to rejoin the Elasto Painters and play on Tuesday. “Yeah I should be (ready). I definitely want to comeback,” he said.